What can Braveland Heroes MOD help you? Do you like strategy games? If your answer is “yes”, you’ve probably heard of the Braveland strategy game series of Tortuga Team. 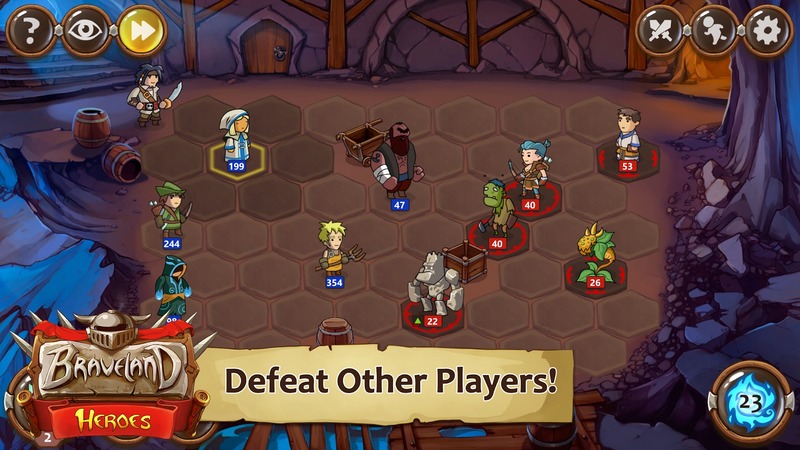 Prior to Braveland Heroes, they have released three games including Braveland, Braveland Wizard and Braveland Pirate. These games have the same gameplay style and graphics, the differences are in the content and heroes system. You have been immersed in the magical world of Braveland Wizard, engaged in the pirate war in the Braveland Pirate. In this game, you will be returning to the Middle Ages, where began the war between warriors and vicious monsters. In Braveland Heroes, the king of the seven kingdoms is the most powerful people. However, someone stole his scepter in the throne room. The king called for the entire kingdom, offering a very high reward to anyone who recovered the scepter – a symbol of the king’s power. You need to gather the strongest warriors, fight with all the dark forces to find the king’s scepter. 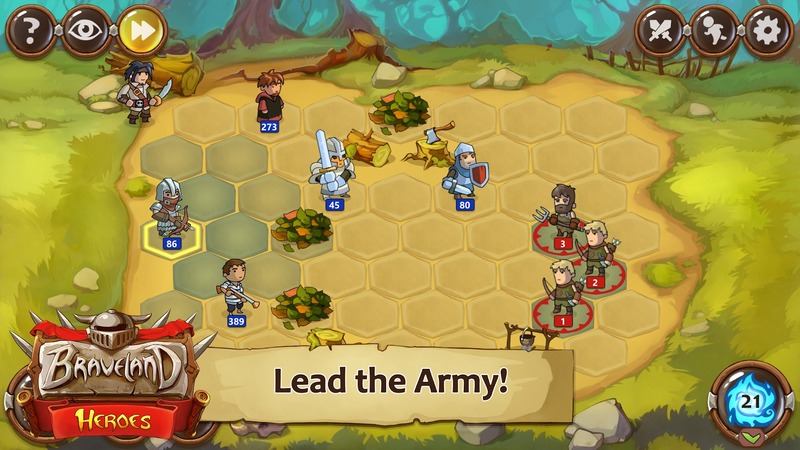 The gameplay of Braveland Heroes is very similar to the game I introduced before, Kingdom of Hero: Tactics War. The map of the game is like a chess board divided into hexagons. Each team is on opposite sides, each member standing in a hexagon. 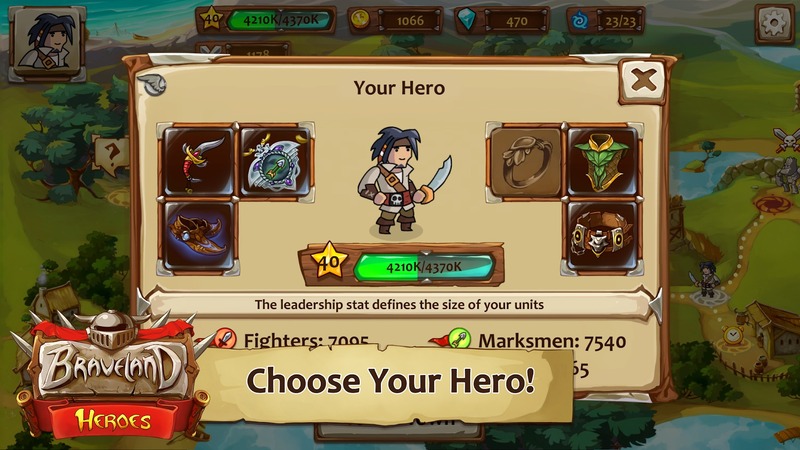 With turn-based gameplay, when it’s your turn, you can move, select a target or choose the skill (if your warrior possesses special skills) for each member. A team which defeats all the other team members is the winner. Remember, each hexagon can only hold one person, so if there is any allies or pirates in it, you can not move to that cell. To make the game more tactical, Braveland Heroes designed a lot of traps in the middle of the map. If you are trapped, your allies will probably lose blood or can’t move, so you need to calculate to trick the enemy into the trap. In the first stage, the player has an archer and wizard wear a white suit. With the archery skills, the Archer can shoot anywhere on the map and the wizard can only attack the enemy when the two cells are close together. In return, in addition to attacking the enemy, the Master has special skills such as healing allies, increasing allied damage or protecting allies from damage in the next turn. After a few levels, you will unlock the Wolf. He is a trusted friend on the battlefield, always ready to face the enemy. In addition, Braves Heroes have a lot of heroes divided into classes, such as Knights, Farmers, Devils … Each hero has its own strengths and weaknesses, you need to find the tactics to take advantage of the advantage before the enemy. 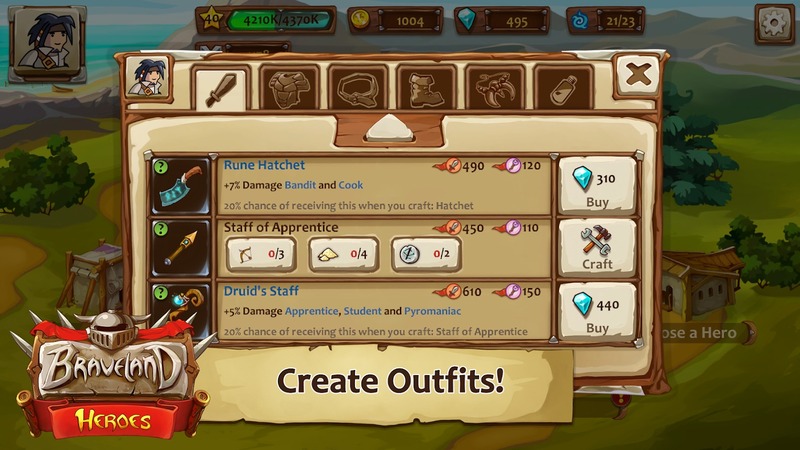 In addition, Braveland Heroes also allows players to upgrade, equipping the hero with the best weapons to maximize the stats. After playing the offline mode for 7 days, you have the opportunity to unlock the online mode. This is where you can fight the war against other players around the world. These battles are only for top commanders, who have the best tactics. Do you want to be the champion of the seven kingdoms? Not only fighting, but you can also alliance with other clans to create the strongest alliance. Let’s share some good tips in the game in the Pug, build together the Braveland Heroes community. Braveland Heroes has simple 3D graphics that fully meet the requirements of a strategy game. Characters are designed in chibi style very cute. With simple graphics, the game is easy to run on multiple devices, including low-end devices. The cost of upgrading and buying the game items is quite expensive. With the money available in Braves Heroes MOD Money, you can unlock the most powerful warriors so you can easily destroy all enemies. Please select the MOD file below this article. The game does not require you to root the device before installation. Braveland Heroes is a great strategy game with good graphics and a lot of creativity. The story of the game has a lot of interesting things, the online mode creates great competition among players. Please select a suitable version for you in the links below to download and install the game device for free. Braveland Heroes﻿ MOD APK is ready to download! 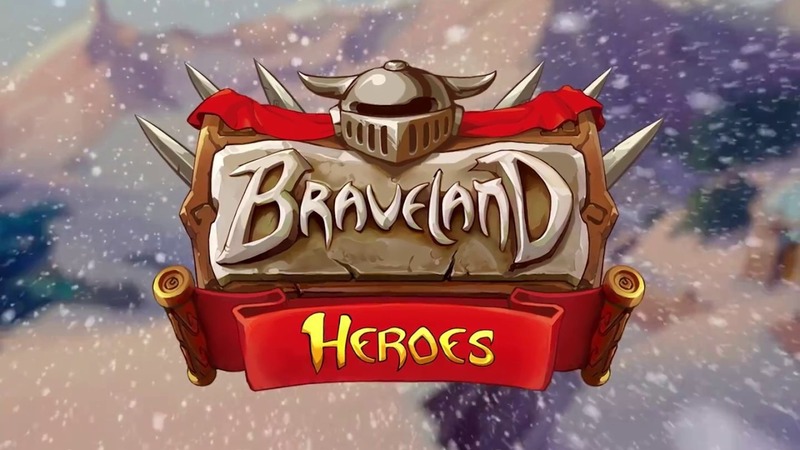 Depending on your needs, you can download Braveland Heroes﻿ MOD APK or Braveland Heroes﻿ Original APK. Or install from Google Play / App Store if you want.